When you know you’ve got a good thing going, the last thing you want to do is lose it. You’ll stop at nothing to hold onto that future – the promise of love, of happiness, of comfort and togetherness. It takes some longer than others to dispel the notion that the grass is always greener. Sometimes, you just know. Unfortunately for singer/songwriter Mike Liegel, his love interest is torn between him and the great wide open. Liegel’s debut single “Stick Around” is a final, impassioned plea to the love of his life. 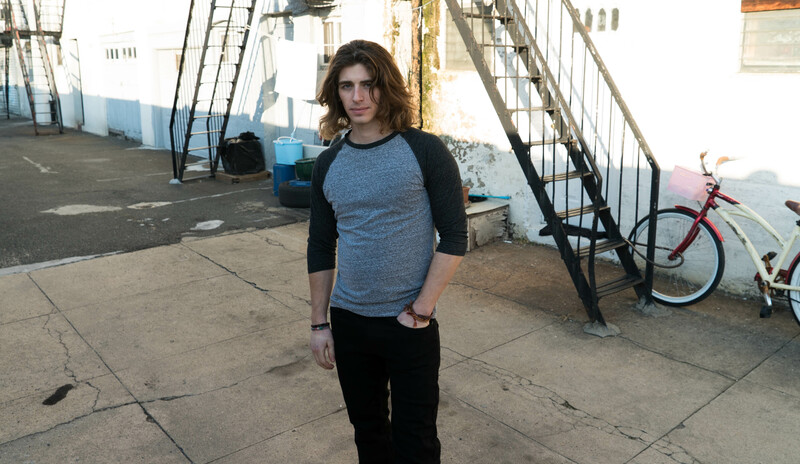 Atwood Magazine is proud to be premiering “Stick Around,” Mike Liegel’s introductory song to the world and the lead single off his upcoming debut EP Stick Around (independently out 5/17/2017). Originally from the rural suburban town of Oak Ridge, New Jersey, Liegel wrote “Stick Around” in Brooklyn, NY with producer and co-writer Andrew Seltzer. His music is light and lilting, a warm pop-friendly guitar and vocals-powered track that exhibits as much heart as it does songwriting prowess. What better time is there than the beginning of Spring for a big singalong ode to love? want to stay and settle down? “Not even love can make you stick around,” repeats Liegel in his earnest refrain. This is their last dance, the last chance for romance and his final push for that better together vision. Heartbreak is perhaps both the easiest and the hardest thing to sing about, because the energy and emotion come so naturally to us when we are in that state of mind, yet it can hurt so much to relive such an intense memory again and again. Liegel’s heart is on his sleeve throughout this song as he tries to convince his special someone to remain, but ultimately he knows – as do we, the audience – that the choice is not his to make. You cannot force love; people fall in and out in mysterious ways, and the world keeps turning. All Liegel can do is say his piece, and hope for the best. “Stick Around” is that piece. Indeed, the artist describes “Stick Around” as “about being helplessly in love with a girl who is afraid of settling down and is always searching for something better, when in reality the perfect guy is right in front of her the whole time.” It’s a horrible feeling, to think the one you love believes he or she can “do better” – or to know comfort is not felt in the present. But this is not a time for self-pity or wallowing in doubt; this is the time for knowing that you are in love, and that the love you share can overcome everything else. Mike Liegel makes a strong first impression with “Stick Around,” blending a humble, beating heart with a fiery zeal to come out on top in the most classic sense. Let’s hope she stuck around. 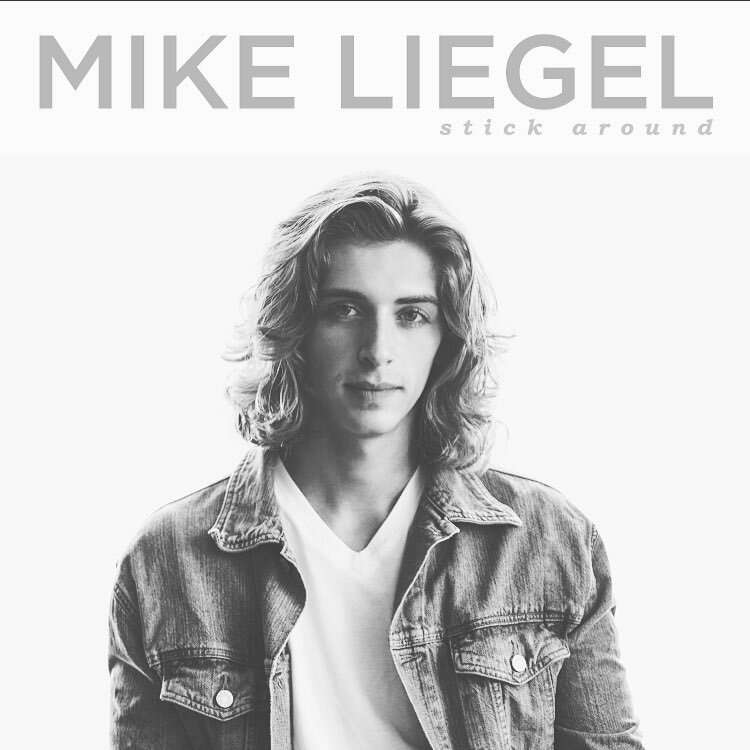 Look out for more from Mike Liegel as the independent artist prepares to release his debut Stick Around EP mid-May!